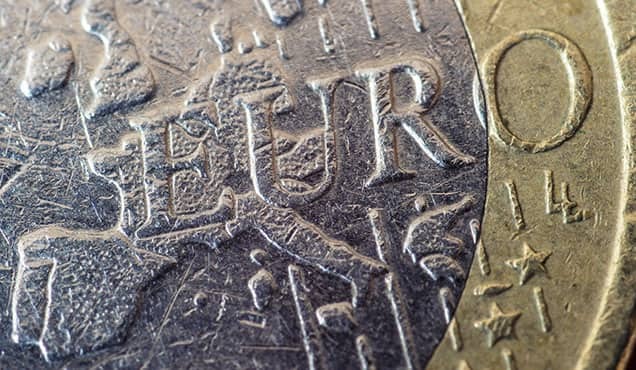 The week ahead sees important official data updates to the health of the US and Chinese economies at the start of the third quarter, as well as UK labour market data and an update to Eurozone GDP. From a policymaking perspective, the spotlight rests in Indonesia where the central bank meets to set interest rates in a climate of increasing pressure on emerging market currencies. In the UK, labour market data including employee earnings, employment and unemployment will be eyed for signs that the Bank of England judged correctly when hiking interest rates at its August meeting. Policymakers are expecting wage inflation to rise, justifying tighter policy. 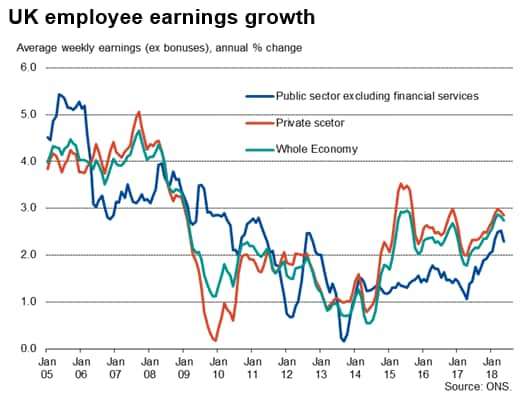 However, prior data showed average employee earnings growth cooling to 2.7%. 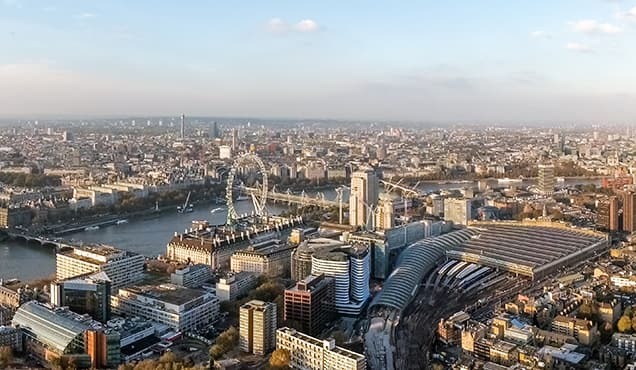 UK retail sales will also be eyed for signs of consumer health; though with July having been unusually hot the data are likely to be treated with caution. Data on industrial production, retail sales and housing starts will provide the first official insights into how the US economy started the third quarter. 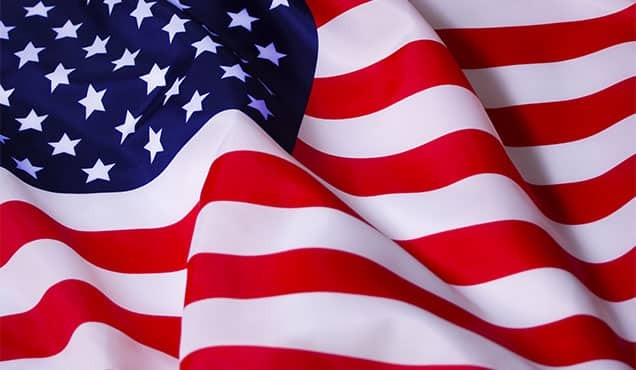 US economic growth accelerated in the second quarter, with GDP rising at an annualised rate of 4.1%, up from 2.2% in the first three months of the year. The acceleration had been foretold by the IHS Markit PMI, which averaged 55.9 in Q2 against 54.6 in Q1. With the composite PMI dipping to 55.7 in July, the pace of expansion cooled slightly at the start of Q3, but the PMI remains consistent with the economy growing at a rate approaching 3%. Growth may weaken further in August, however, with future business expectations down to a six-month low and concerns mounting in relation to tariffs and trade wars. 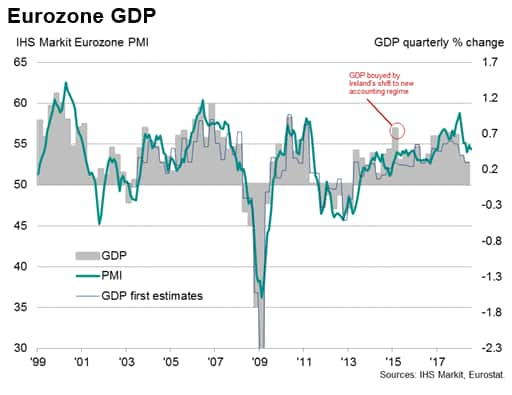 After flash data showed a 0.3% GDP rise in the Eurozone, the next 'preliminary' estimate of GDP may register slightly faster growth. In recent years, initial estimates of GDP have been revised higher by 0.2% on average, bringing the official data into line with the PMI surveys. However, such revisions may not be seen until the final estimates are published. In Asia, the main focus of the week rests with China, where official data relating to industrial production, retail sales and investment are published. 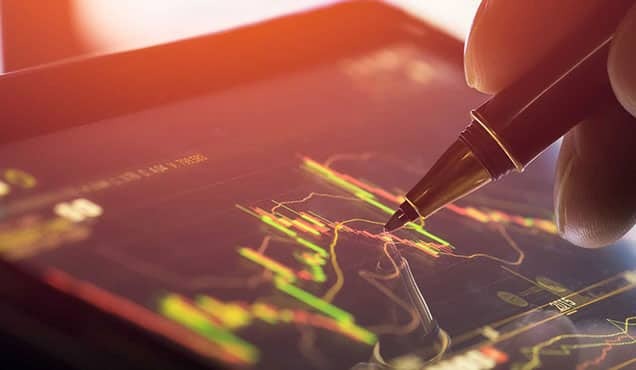 The July data are expected to show little change on growth rates seen in June, with retail sales increasing 9.0% annually, outpacing industrial production growth, which looks set to pick up only modestly from the 6.0% rate seen in June. Urban investment growth looks set to hold steady at 6.0%. As such, the data will add to signs that the Chinese economy is rebalancing away from industry and exports towards more domestic-consumption driven growth. 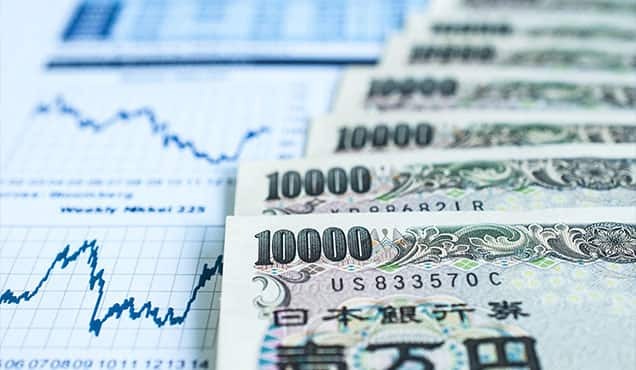 The data come on the heels of the Caixin PMI surveys, which showed that the economy lost some momentum in July, with falling export orders leading the slowdown. 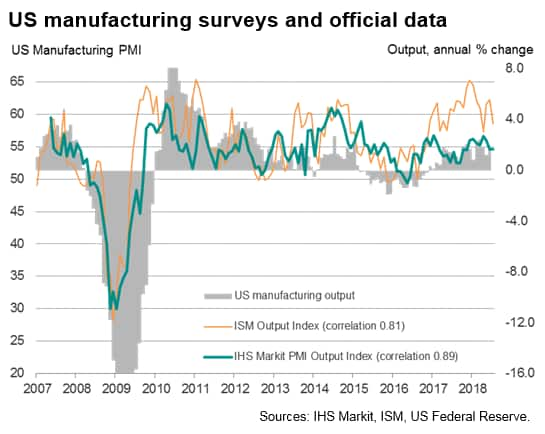 The underlying PMI data pointed to a potential further slowing in growth over the coming months amid rising trade tensions and growing internal challenges. 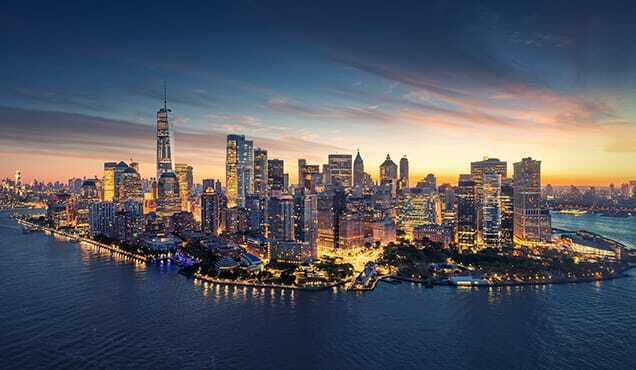 Other key releases and events in the Asia Pacific region will be second quarter GDP data for Singapore, Australian employment, unemployment and wage data, as well as the Bank Indonesia policy meeting. The Indonesian central bank left rates on hold at its last meeting after three prior hikes which had been implemented to stem the falling currency, which had dropped 6% against the US dollar in the first half of the year. The rupiah has since shown signs of stabilising but still looks prone to weakness, keeping the prospect of further rate hikes on the table despite signs of a weakening economy.